Life Style Active or Wellness Programs will introduce students to the need and art of leading a healthy lifestyle. The most comprehensive approach to fitness education involves the use of concept-based fitness and wellness education. The focus of this concept-based model is on the students’ knowledge and understanding of physical activity, physical fitness, and wellness. The students are involved in physical activity experiences that emphasise both, how and why physical fitness and wellness are important. Physical fitness signifies the body’s ability to work efficiently and effectively during working hours and at leisure time. A physically fit person is someone who will remain healthy and lead an active lifestyle. Also, being physically fit allows a person to safeguard his/her body against diseases, and live a longer healthier life. Students need to develop the skills necessary to measure their own fitness and physical activity. Students also need to regularly participate in physical activity and analyze and evaluate their level of involvement in physical activity. As time goes by for managers, the stress of work coupled with chair bound long hours, indulgence in excessive tea/coffee drinking, smoking and drinking, the stress and pressures of family life are likely to take their toll. This is evident from an early burn out of present day managers in the age group of 35-45, in some cases leading to severe health issues. The above aspects necessitate the need to understand the importance of Health Management as “Prevention is better than Cure”. The compromise on health to acquire wealth will in due course lead to an expenditure of wealth to regain health. It is here, that the Life Style Active or the Wellness Program comes into play to introduce the students to the need and art of leading a healthy lifestyle. The activities here introduce the students to the importance and relevance of every activity – be it Endurance, Strength, Flexibility or Personal Physical Activity Programs. To make the whole experience as fun and learning culminating into the ultimate test of physical fitness, the students are divided into groups/houses who compete with each other in all games. This not only enhances their physical performance, but also introduces them to various games with their rules and regulations, while simultaneously contributing towards team building and enhancing their competitive spirit – an aspect which will help them represent their employer and participate in corporate games during the course of their corporate career. - Engage in physical activities of sufficient intensity and duration to maximize health benefits. - Learn why it is important to develop and maintain adequate levels of physical activity/fitness. - Develop knowledge base and skills necessary to plan and execute personal activity programs. - To prepare and motivate students to engage in physical activity throughout their life. - To provide opportunities to students to develop healthy habits while gaining an appreciation for its importance throughout life. - Cardiovascular Endurance - The efficiency and capability of the heart to supply oxygen and nutrients to tissues. - Muscular Strength - The amount of force or strength that the muscles can pick up and exert at a time. - Muscular Endurance - The ability of the muscles to undergo repeated contractions. - Body Composition - The ratio of body fat to body lean mass. - Flexibility - The ability of the muscles and joints to move through their full range of motion. - Enhanced Appearance - A fitness program can help detoxify your body as also tone your skin and body. - Improved immune system - A fitness program can help improve your immune system, helping safeguard your body from infections and diseases. - Self Confidence - A fitness program can improve appearance and make a person feel more confident. - Strengthen Bones - A fitness program that includes walking, jogging, and weight training can strengthen bones. The immediate and long-term benefits of a concepts-based fitness education program are: Aspects of Lifestyle Active Program. The program is conducted in four different disciplines of Aerobics/Zumba, Gymnasium, Games and Yoga. The student is given a choice to select any one activity per term with a caveat that an activity once chosen cannot be repeated in any subsequent term. Further, the student also ought to be given the choice of choosing a slot of his/her convenience either in the first session from 06.30-07.10 AM or in the second session from 07.20-08.00 AM. 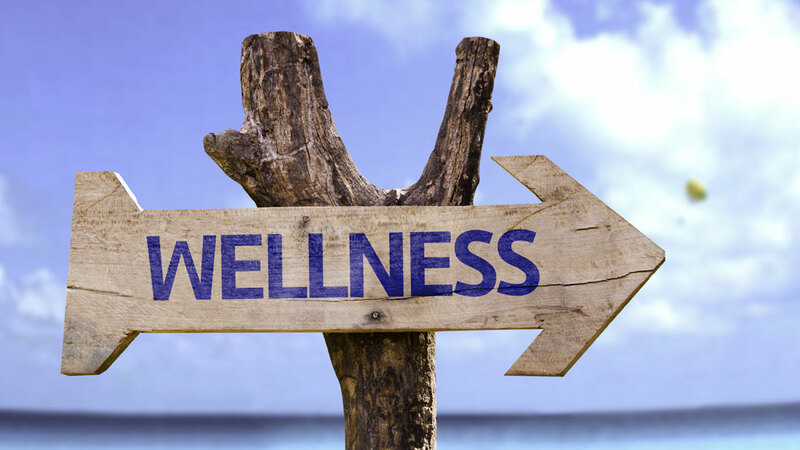 The Wellness Program is institutionalized by giving due weightage to the program as part of the curriculum. This not only forces the student to take the program seriously but also teaches a student the art of healthy living. The importance of Wellness training as part of a student’s curriculum needs no emphasis as the habits of a healthy lifestyle learnt and imbibed at this age if followed seriously in life can not only enable future managers to lead a healthy lifestyle but also prevent an early burnout in life. It’s MBA on the Education Menu!..